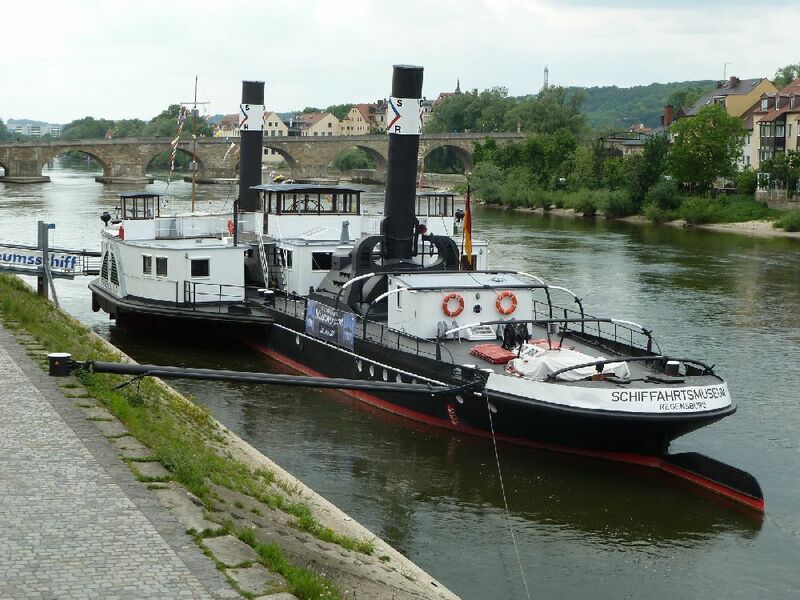 The former Danube paddle tug lies as a musuem ship having been saved from the breakers in 1979 and opened to the public after restoration in 1983. 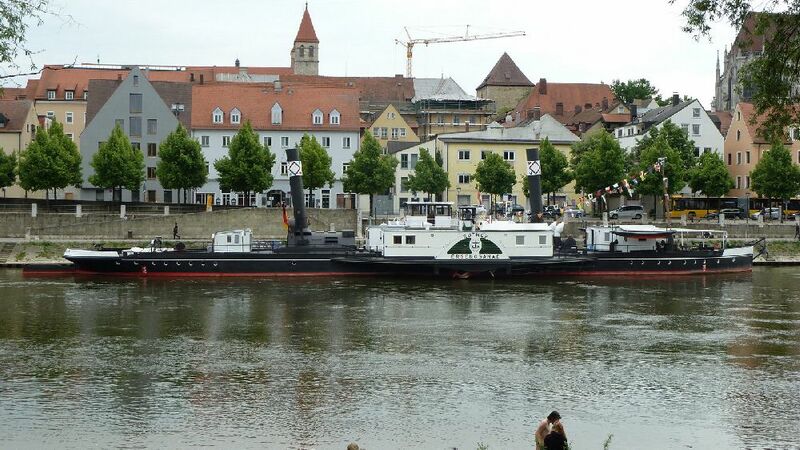 The tug was built in 1923 for Bayischen Lloyd but came into Hungarian hands in 1956, twelve years after her sinking in the Danube after hitting a mine. 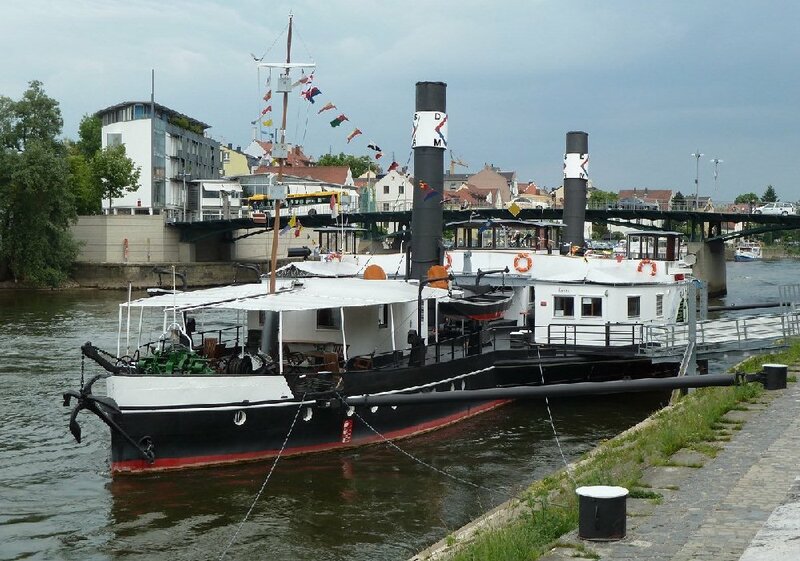 Originally named Ruthof, she was renamed after the location where she sank and she served for the Hungarian state operator MAHART until 1975 running the entire length of the Danube up as far as Regensburg.